There are few scientific studies on 5 HTP for fibromyalgia. However, results show that 5 HTP helps fibromyalgia by lifting depression, aiding sleep, and reducing pain. 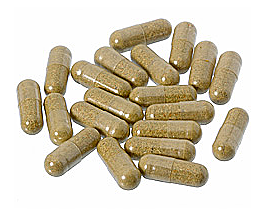 5-HTP is a dietary supplement derived from the amino acid tryptophan. It is a precursor of the neurotransmitter serotonin and the hormone melatonin. Serotonin, as a brain chemical, is associated with pain levels, sleep, and mood. Each of these things plays a factor in the fibromyalgia profile. 5-HTP may help fibromyalgia by increasing the quality of sleep and reducing pain. It may also reduce symptom of depression and anxiety, similar to Cymbalta and other SSRI anti- depressants. 5-htp may also prevent migraines, as well as reduce the pain level and frequency of migraines. European Neurology published a 1986 study comparing 5-HTP to methysergide (Sansert) for migraines. After six months, 5-HTP was found to be just as effective as methysergide in reducing the pain and duration of migraines. In 1990, the Journal of International Medical Research published a double- blind, placebo- controlled study on 5-HTP for fibromyalgia. The study showed that every parameter studied was improved in fibromyalgia patients who took 5-HTP, with mild side effects reported, if any. In 1992, the same medical journal published another study involving 5-HTP for fibromyalgia patients over a ninety day period. When compared to baseline measurements at the beginning of the study, all of the fibromyalgia patients saw a marked improvement in every area after ninety days on 5-HTP. Nearly 50% of the patients reported feeling “good” or “fair” at the end of the trial period. Thirty percent of the participants reported some side effects from using 5-HTP, but only 2% had to be excused from the study due to side effects of 5-HTP. Finally, in 1998, Alternative Medicine Review published a study on 5-HTP stating the supplement could be taken with meals and is easily absorbed in the bloodstream. It crosses the blood-brain barrier, and increases the synthesis of serotonin in the brain. The study specifically mentioned fibromyalgia as one condition for which 5-HTP is effective. The FDA took tryptophan, the supplement which turns into 5-HTP in the body when consumed, off the market in 1998. This is because some tryptophan and 5-HTP products contained a toxic chemical called Peak X. Peak X was found to cause eosinophilia- myalgia syndrome, a severe blood disorder which caused extreme muscle tenderness. However, it was later discovered that Peak X came from a single Japanese manufacturing company. Current 5-htp producers comply with federal legislation such as the 2007 US FDA Good Manufacturing Practices. 5-HTP has never been thoroughly studied in a clinical setting. No serious side effects of the supplement have been published, even though 5-HTP has been on the commercial market since the 1950’s. 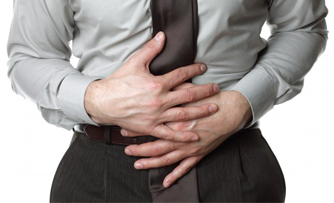 However, nausea, vomiting and diarrhea have been reported as being fairly common. This is believed to be due to the rapid introduction of serotonin into the stomach. PubMed.gov, I, Sarzi Puttini P, Cazzola M, Azzolini V. “Double-blind study of 5-hydroxytryptophan versus placebo in the treatment of primary fibromyalgia syndrome.” Journal of International Medical Research.201- (1990) 18 (3): 209. PubMed.gov, Poldinger W, Calanchini B, Schwarz W. “A functional-dimensional approach to depression: serotonin deficiency as a target syndrome in a comparison of 5-hydroxytryptophan and fluvoxamine.” Psychopathology. (1991) 24 (2): 53-81. PubMed.gov, Shaw K, Turner J, Del Mar C. “Tryptophan and 5-Hydroxytryptophan for depression (Cochrane Review).” The Cochrane Database of Systematic Reviews 2002, Issue 1. Art. No. : CD003198. PubMed.gov, Titus F, Davalos A, Alom J, et al. “5-hydroxytryptophan versus methysergide in the prophylaxis of migraine. Randomized clinical trial.” European Neurology. 1986; 25:327–329. PubMed.gov, Gijsman HJ, et al. “Placebo-controlled comparison of three dose-regimens of 5-hydroxytryptophan challenge test in healthy volunteers.” Journal of Clinical Psychopharmacology. 2002 Apr;22(2):183-9. PubMed.gov, Lowe SL, et al. “L-5-Hydroxytryptophan augments the neuroendocrine response to a SSRI.” Psychoneuroendocrinology. 2006 May;31(4):473-84. PubMed.gov, Michelson, D, et al. (1994 Dec). "An eosinophilia-myalgia syndrome related disorder associated with exposure to L-5-hydroxytryptophan".The Journal of Rheumatology 21 (12): 2261–5. PubMed.gov, Turner EH, Blackwell AD (2005). "5-Hydroxytryptophan plus SSRIs for interferon-induced depression: synergistic mechanisms for normalizing synaptic serotonin". Medical Hypotheses 65 (1): 138–44. PubMed.gov, Journal of International Medical Research. 1990 May-Jun;18(3):201-9. “Double-blind study of 5-hydroxytryptophan versus placebo in the treatment of primary fibromyalgia syndrome.” Caruso I, et al. PubMed.gov, Journal of International Medical Research. 1992 Apr;20(2):182-9. “Primary fibromyalgia syndrome and 5-hydroxy-L-tryptophan: a 90-day open study.” Sarzi Puttini P and Caruso I.
PubMed.gov, Alternative Medicine Review. 1998 Aug;3(4):271-80. “5-Hydroxytryptophan: a clinically-effective serotonin precursor.” Birdsall, TC.